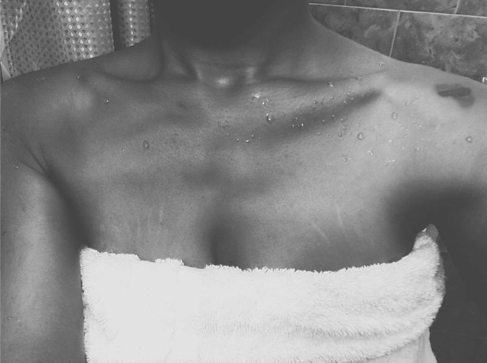 Despite what most magazines who focus on beauty and the body say, if you have stretch marks anywhere on your body, you are normal. We see images on TV, in advertising and in the media touting creams, lotions and expensive procedures telling women (and men) to “get rid of those unsightly marks forever!” basically making us feel we should not ever think we are beautiful by keeping them. Well now we have a reason to flip the bird and save those pennies for something actually worthwhile. 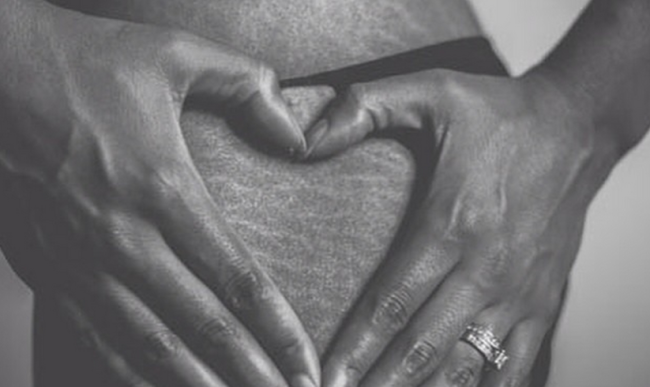 A new Instagram account called ‘Love Your Lines‘ is taking up the charge for women everywhere and teaching us all to embrace stretch marks on our bodies. The account is fairly new, but clearly it has struck a nerve with humanity because they already have close to 30,000 followers. Whenever we see a body positivity movement go viral, we realize that the message they are spreading is something that we as women have been desperate to hear but can’t find it anywhere in the media of in fashion. 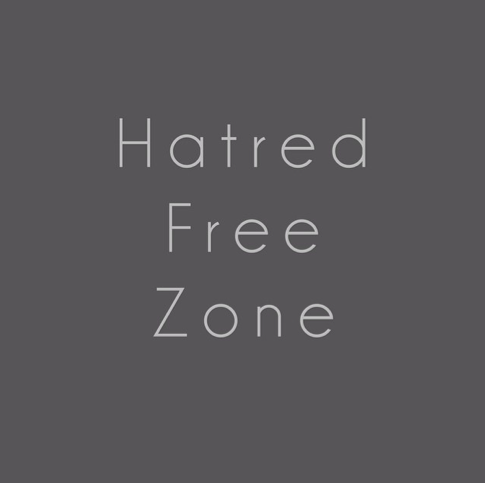 So we turn to everyday women and men who are now using the internet, social media and various platforms to share a message which comes from the heart without any financial or corporate agenda. Love Your Lines was created by two women on the East Coast who want women to stop looking at stretch marks as flaws, and instead own them as part of their body. The two women decided to create the account after a discussion on how having babies changed their bodies drastically. After the account went live, they were shocked by the immense response they got from women who were willing to share in this movement. The coolest part was that it wasn’t just moms who had babies, but younger women also who wanted to share their story in a safe place and be encouraged by a positive community online. It is estimated roughly 80% of Americans have stretchmarks on their body, which is caused by rapid growth, weight changes and hormones. Pregnancy also is another huge cause of stretchmarks. But if that 80% figure doesn’t show you how normal it is, we don’t know what will! In another interview with news site Mic, the founders say the reason they remain anonymous is because it isn’t just about them but the community. “Women seem to be gathering inspiration and encouragement through the photos shared and responses,” said one of the founders. Movements like this show how powerful we can be in sharing our own stories and taking a leap of faith to put them out there publicly to inspire others. A recent Australian study found that kids as young as eight are already unhappy with their body and most 10 year old’s have already tried to diet. “The difficulty is body image has a huge impact emotionally and psychologically,” said Dr. Louise George who has developed a series of body image workshops with fellow psychologist Dr Ariana Elias. A 2014 Australian Institute of Family Studies report that looked at more than 4000 Australian children and their desired body size found that by age 8-9, “a large number of children experience body dissatisfaction and by 10-11 years old, the majority of children have tried to control their weight”. Dr George and Dr Elias have developed the Raising Body-Confident Kids program, which will run workshops for parents across Sydney. They say body dissatisfaction is a major risk and precursor for eating disorders, binge eating, obesity and others. “We think there are a number of factors that play a role in body dissatisfaction and in response our program tries to tackle it in a number of different directions in terms of trying to teach kids media literacy and we’re looking at traditional media and next generation media such as the internet and social media,” Dr. Louise George said in an interview with Women’s Weekly. Body image issues start young, and it is important to tackle them early. What Love Your Lines is doing is taking the platform that can be a cause for anxiety and depression, and turning it into a positive space where women of all ages can come and celebrate their bodies. This is why bloggers such as Virgie Tovar who created the #losehatenotweight hashtag and Canadian mother Tanis Jex-Blake who was shamed at the beach for wearing a beach which proudly displayed her child-bearing stretch marks decided to go public and give other women permission to also love their bodies despite how different from the narrow-minded media perception they are. These body positive movements are flipping the script and showing ordinary people that it is in fact the media, fashion and advertising who are the niche when it comes to the imagery of women’s bodies. Love Your Lines is reiterating that this is what the large majority of women’s bodies actually look like.